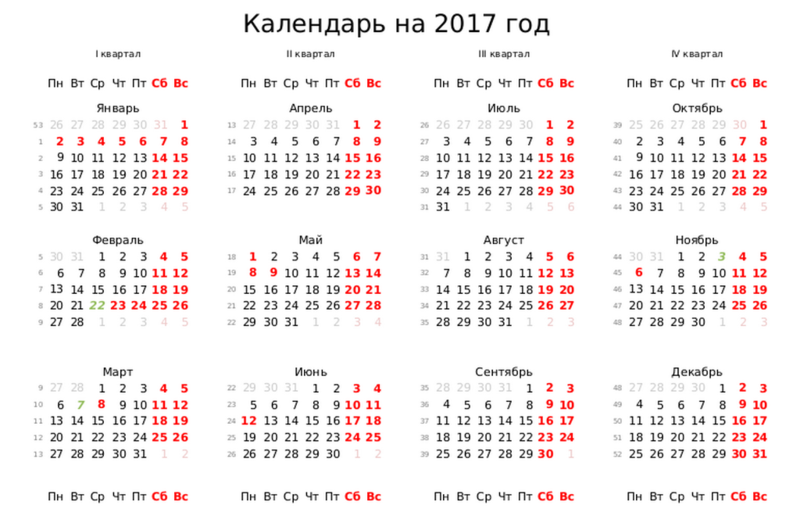 The Russian government announced workdays and days off for the year 2017. Keep it to be informed on which days you can find closed doors of public facilities. New Year’s holidays start on December 31 and last to January 8, the first workday is January 9. As some festival days fall on weekends next year, there will be extended holidays in February, May, June and November. To know more about Russian holidays and their celebrations, read our post on festivals and days off in Russia here. All public facilities and government establishments are closed throughout the January long holidays, except transport, emergency and medical aid services. All entertainments operate in a full swing, you can go to a cinema, disco or concert even on January 1. Food stores are also open all days. Other kinds of retailers may be closed on January 1 and 2, but big food retailers like Auchan, Lenta or O’kay have rather large non-food sections, where you can buy all kinds of household goods. Banks and other financial institutions widely vary in their open-close policy. Big banks tend to work from January 3 till the last days of the holidays with days off on January 6 and 7. ATMs are available at banks’ branches at any time and also at subway stations and shopping malls at their opening hours.